I have made my boys lots of things over the last 7 years, but none have been so loved and worn as pajama bottoms. They have been passed down from one to the other with stops to family and friends inbetween. They are winter perfect in flannel, and summer perfect in quilter's cotton. My favourites are the ones made from novelty fabrics (sock monkeys! circus stripes!) that you might not otherwise use for daytime clothes. 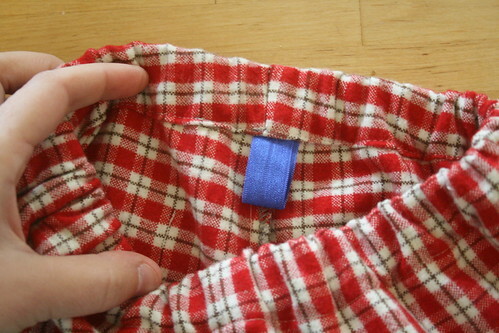 Pajama bottoms are achingly simple to sew for small and big people. 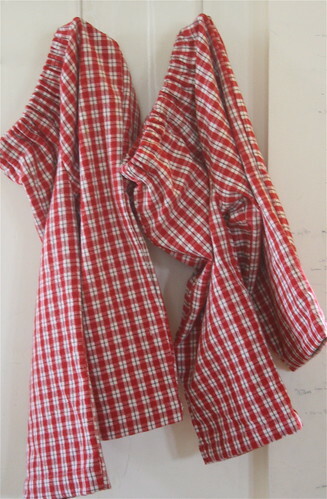 You can make them as simple (elastic waste band encased in a large hem) or complicated (facings, pockets, fancy cuffs!) as you like. I know a lot of families participate in the tradition of giving pajamas on days like Solstice or Christmas Eve-- how about handmade ones this year? Most patterns come in a number of sizes, so you can outfit all your small people from a single pattern (don't forget the tracing paper!). I made these three pairs for under the tree in an evening. With only a few pieces to cut out for each pair, they make up very quickly. I always include a "tag" in the back made out of super soft FOE (fold over elastic) to help the boys sort out which way in their feet are supposed to go. We carry patterns for simple kids sleep pants, and we have bolts and bolts of beautiful flannel from Free Spirit, Riley Blake, and others. Do you recognize my plaid? The sale took care of that bolt, but there's plenty more cozy where that came from. Once the flannel runs out we'll need to make room for more inventory, which means we'll have a limited number of flannel options until next fall.